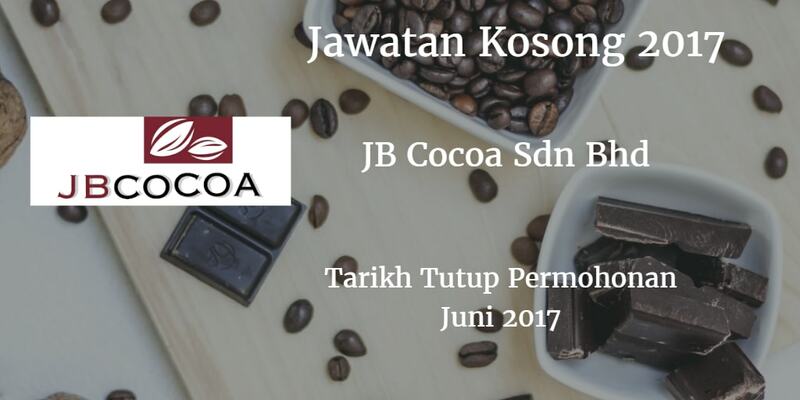 JB Cocoa Sdn Bhd Warganegara Malaysia yang berminat bekerja di JB Cocoa Sdn Bhd dan berkelayakan dipelawa untuk memohon sekarang juga. To ensure the smooth running of the production and to minimize the downtime. To record all data required and report any changes in process to manufacturing Line Leader/Supervisor. Able to write and read in Bahasa Melayu or English and follow the instruction.